This recipe took a little experimentation as cocoa is quite bitter. Some of the spreads like this on the market are bitter. Thankfully there have been some good developments in sugar free baking. I found a liquid Stevia which worked very well with no bitterness. Without the sugar I eat a lot less, but the flavour is good with subtle sweetness and my 2.5yr old with a sweet tooth LOVES it! The ingredients are simple and it's quick and easy to make. 1. 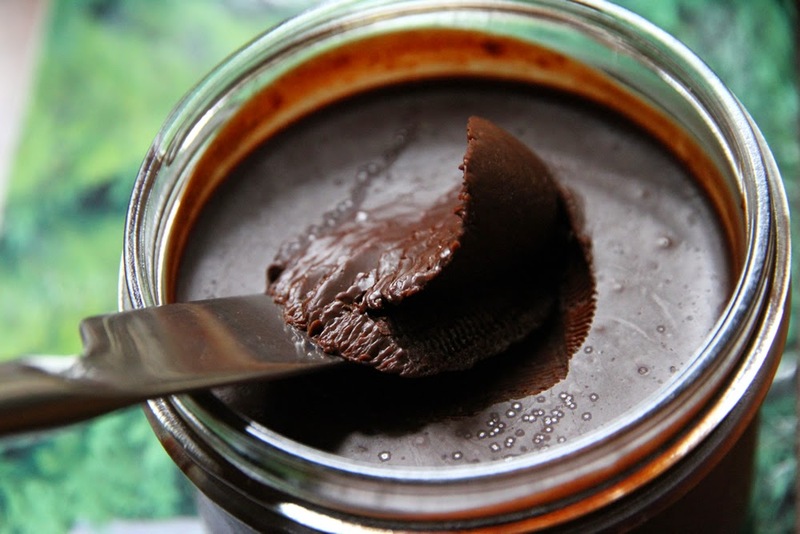 In a double boiler, gently melt the chocolate and coconut oil. 2. Once the mixture is melted and smooth, stir in the hazelnut butter and stir in the vanilla. 3. Pour into a clean glass jar and allow to cool. 4. Keeps well stored in the fridge, or in a cool dark place for a few months. * To make hazelnut butter, roast the hazelnuts in the oven at 180°C (360°F) for 15 minutes turning them over every 5 minutes. Tip out onto paper towel as soon as they are out of the oven. Let them sit for 5 minutes and then rub off the peel using the paper towel. Process the prepared hazelnuts into a smooth nut butter.